Leigh graduated from Texas Christian University, in Fort Worth, Texas and moved to Austin to join Barshop & Oles Company in 2017 as Tenant Coordinator. The Tenant Coordinator position was created to be the liaison between leasing and property management. As the Tenant Coordinator, she works with the leasing team to onboard new tenants to ensure they have a consistent point of contact during both the pre-construction and construction phase. Her responsibilities include: communicating with the tenant about proper insurance, approving construction plans, reviewing proposed store front signage, answering any questions the tenant may have during the construction and move in process, and transitioning them to property management. Leigh supports tenants with day-to-day issues and concerns, assisting the tenant to open as soon as possible. Once the tenant is open for business, Leigh works with the property manager to effectively communicate with them about rental schedules and specific landlord requirements for the shopping center. Her role is key for initial landlord representation and overall tenant satisfaction for the shopping center. 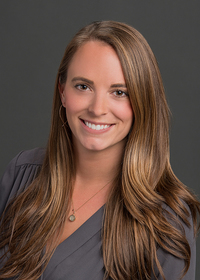 Leigh has recently become the Property Manager for the New Medical Center Development in San Antonio is and currently ramping up property management efforts.